When the sun sets down, Goa heats up high with its sparkling nightlife, which brings the young hearts and souls together to live the best moments of their lives. Shiro Beach in Candolim, is one such restaurant and lounge that is a blast for the youngsters visiting Goa. The lounge has a spectacular view of the sea with the perfect pair of rich cocktails. It is one of the best places where one can enjoy the true flavor of Goa. 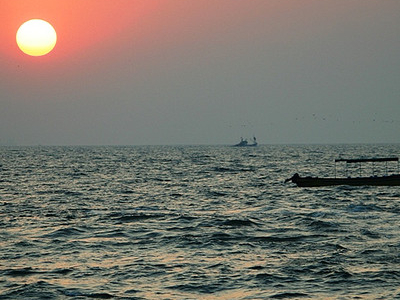 Here's the our members favorite photos of "Beaches near Candolim". Upload your photo of Shiro Beach! Get in touch with 1 Touristlink members who want to visit Shiro Beach or with Raj Francis and Avinash Naidu who already have been here.